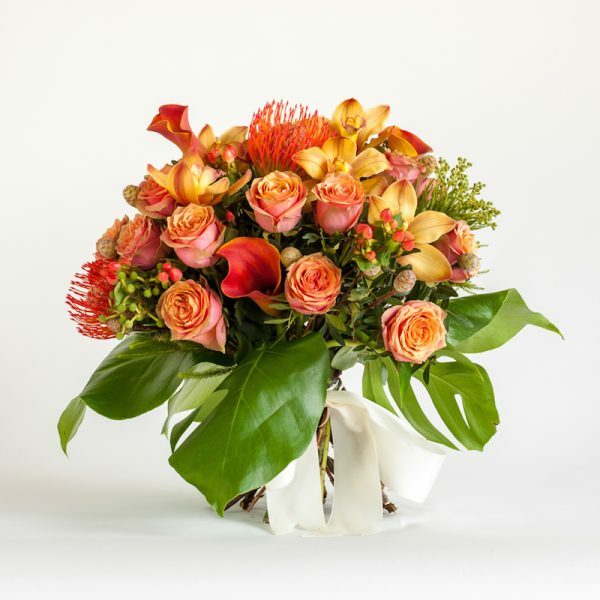 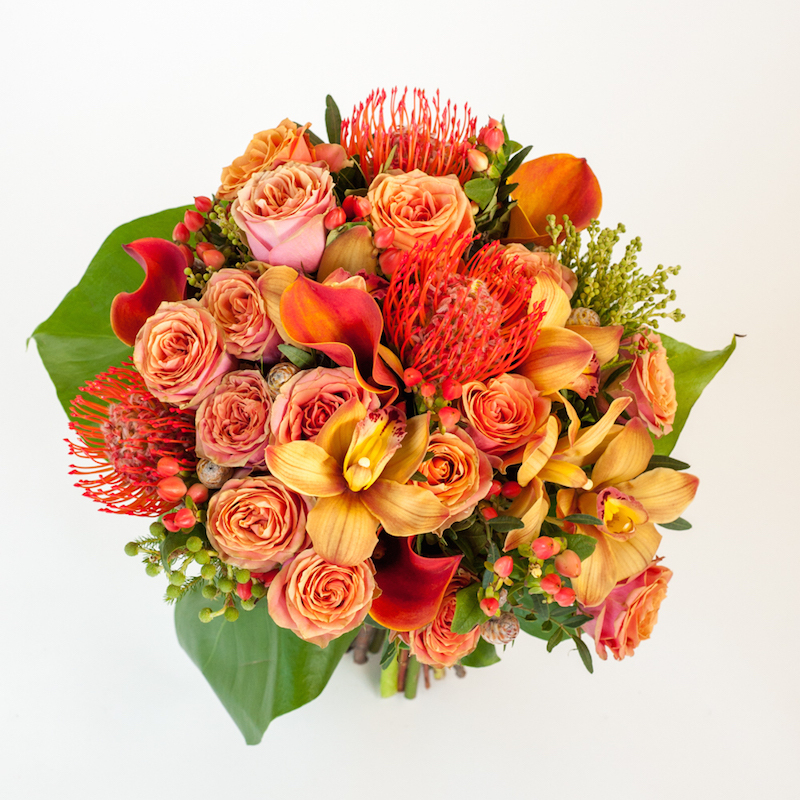 Celebrate in style with the fabulous Extravaganza Bouquet. 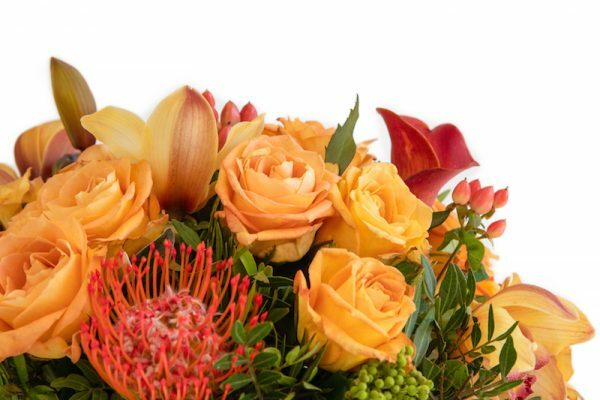 This luxury bouquet is packed with roses, cymbidium orchid heads, zant calla lilies, hypericum berries, leucospermum, baby monstera and greenery. 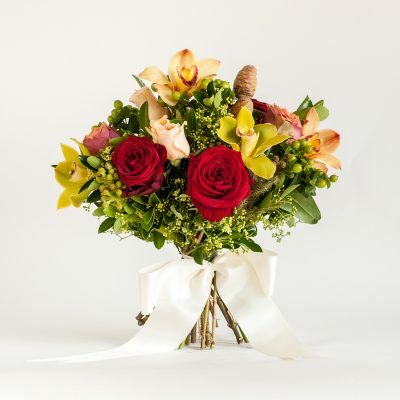 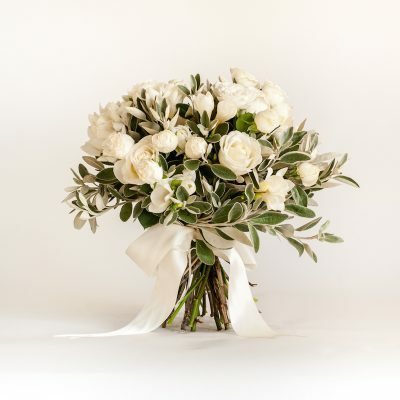 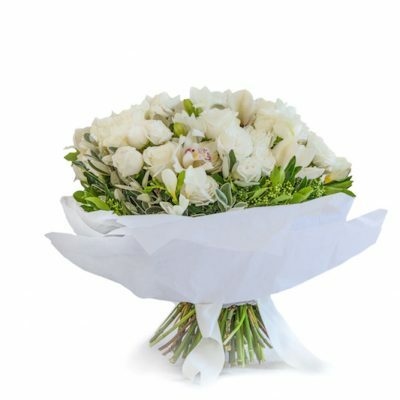 The generous bouquet makes a wonderful gift for any occasion.